What? It’s time for Bumbershoot already? We were just getting into this whole summer thing! Oh well. What better way to wash down a short, yet hopefully, still (fingers crossed) lingering, summer than with the city’s still biggest and oldest festival. Like last year, Bshoot’s moved away from relying on big draws to putting more of an emphasis on the up-and-comers, many of whom who happen to have 206 numbers. 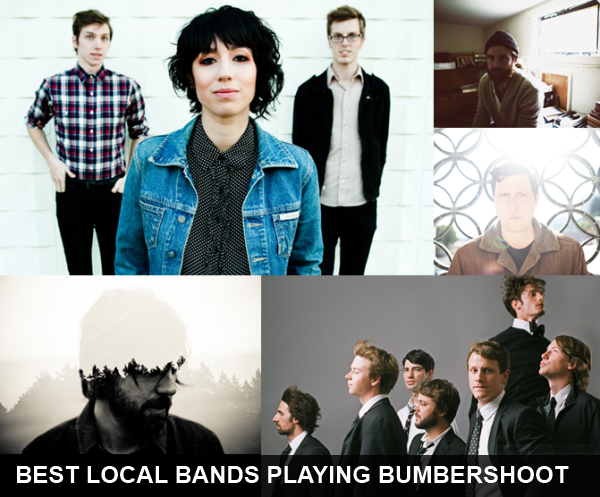 Speaking of local greatness, here’s a short list of five must see acts from your own backyard. The longtime Seattle-based singer-songwriter’s singer-songwriter who recently embraced darker, psychedelic sound only to become even more beloved. Thoughtful, folk-tinged acoustic melodies from one of Seattle’s finest singer-songwriters. The original project from Jessica Dobson – rising female rock icon and newest member of The Shins. The local orchestral pop group that’s become a PacNW festival staple and apparently, a Starbucks’ favorite over the past few years.